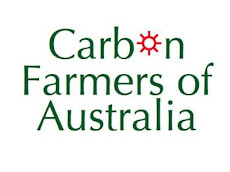 The leadership of the major farmers' groups in NSW and VIC have redefined leadership as walking backwards into the future on the issue of carbon trading. "NSW and Victorian farmer groups are urging producers to be wary of locking into long term carbon trading, " reported the ABC recently. "Both groups see little financial benefit for producers from the new carbon trading to begin in July. 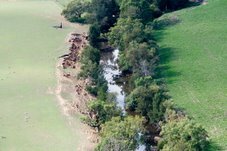 NSW Farmers Association's senior vice president and head of their sustainability taskforce, Sam Archer, says the returns are not there due to falling global carbon prices and restrictive land management. 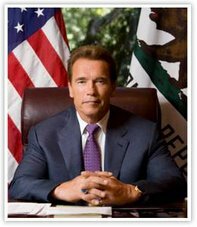 "Potentially low commercial benefits, restrictions on land use practices, the onerous land use permanence requirements of 100 years, and as we have seen overseas, a high transactional cost (so) all of which I would encourage people to err on the side of caution." The President of the Victorian Farmers Federation, Andrew Broad, says farmers reject the notion of a carbon economy. "Globally we have been fools by making our agriculture less competitive and we think somehow that we are saving the planet." The comments are poorly informed. EG., the low prices currently on offer reflect the global financial crisis as companies realise the value of offsets they have on their books for liquidity purposes. Now is the perfect time to buy some cheap offsets to cover your future liability. A farmer sitting on offsets would be wise to keep sitting until better prices are available. Few farm commodities are as bankable. These gentlemen may not be aware (because they are not engaged in the process) that there are several insurance and buffer mechanisms being proposed to reduce the 100 Year risk. Sam's complaint about 'restrictions on land use practices' seem odd since he has his own scheme called the National Ecosystem Services Scheme (ESS) which would see farmers paid for land stewardship - which involves 'setting aside marginal land' for ecological 'goods and services'. The only difference between the CFI system and Sam's Scheme is how the farmer is paid. We believe in markets. Sam believes in taxes: "Potential funding for the scheme could come from a GST on fresh food..." Whoa! Australians love their farmers, but not enough to pay 10% more for food. And governments tend to find it difficult keeping their hands off a GST. Stewardship payments are handouts which institutionalise the top-down, dependency relationship traditional for farmers. They can be switched on or off at will. In The Land's Year of the Farmer supplement recently, Mr Archer said his proposed ESS could become "the cornerstone of Australia's response to climate change..." But it has no connection to Climate Change. Why is the carbon market anathema to many in agriculture? Why are those involved in it seen to be ethically compromised? This has motivated some to propose "Market Based Instruments" which are not markets at all, but schemes that pit farmer against farmer to compete for handouts. 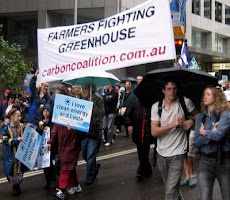 Andrew Broad claims to speak for farmers who reject the carbon economy. Do they reject the Government's decision to absolve farmers for responsibility for all their emissions on farm and reward them instead with tradable offsets for their efforts to reduce methane and nitrous oxide? Or the option of being paid to enrich their soils and strategically revegetate their landscapes? Is Mr Broad's climate denialism typical of farmers? The dairy farmers are hardest hit by the price on carbon because of their energy usage. Yet Dairy Australia says on its website: “Belief’ in Climate Change is no longer relevant because the very idea of Climate Change, backed up by clearly more volatile weather events, has created its own, overwhelming social and economic momentum. ‘Climate Change’ is fundamentally changing everything from the behaviour of Governments to consumer choices. It has become one of the critical lenses through which every decision must pass – how individuals and industries react will fundamentally their future resilience and competitive advantage." These are the facts: 1. 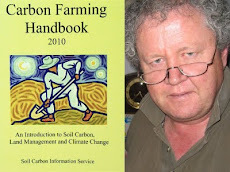 No farmer is obliged to change anything in the way they manage their holdings when the carbon markets start operating. 2. No farmer is obliged to get involved with carbon markets. 3. No farmer should rush into any arrangement, especially planting trees. Changing the way you manage pastures or cropping is less restrictive of land use than planting trees. The tree companies want to sell as many trees as possible. Too many trees can be as bad as too few trees. The strategic placement of vegetation can enhance production. 4. Your advisor should have experience in whole-of-farm-planning for carbon farming. Contact the Carbon Farming & Trading Association to be put in touch with experienced carbon farmers who know what they are talking about.